Atlantis Spa and Casino stepped up its game recently by installing two of SiliconCore’s Peony 2.6mm Direct View LED display panels with integrators Vision Control Associates. The new screens are located in the Sports Bar and Lounge area of the casino and feature different sports from all over the world that patrons can place bets on. These vibrant displays give everyone an upfront seat to root for their bets and keep track of all the action. The content featured on the screens switches between live dog and horse races in the daytime and the most prolific matches from any sporting genre in the evenings and at weekends. Each one of the two Peony 2.6mm displays consisted of a 1344 pixels wide by 768 high, which translates to a screen size of 139-inch (3.5 metres) wide by 79-inh (2 metres) high. 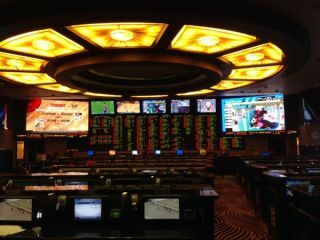 The screens are driven by video processors, which allow the casino to seamlessly switch between various sources of live content video feeds across the two video walls. Integration partners Vision Control Associates recommended the SiliconCore Technology displays for their dramatic life-like image quality, low power consumption, with any other displays currently available. SiliconCore’s LED display products are based on the company’s patented Common Cathode technology, which significantly lowers power consumption and heat dissipation. This improves the lifespan of the displays and reduces the overall cost of ownership.